Shawn Spencer and Burton 'Gus' Guster. 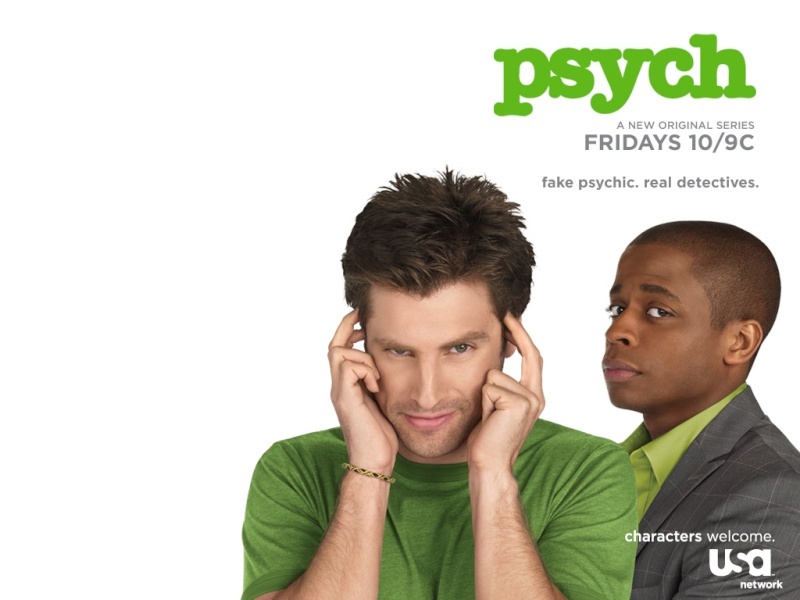 Shawn is mistaken for a psychic and he helps the Santa Barbara Police Department solve cases with his 'psychic skills' which are just super awesome observant powers. And Gus is that little know it all dude...who won't share his food. Then there's Henry Spencer, Shawn's bald Dad, who's an x-cop and helps around a lot. And there's Police Chief Karen Vick, who scolds a lot. Then comes his parner Juliet "Jules" O'Hara, and since we just can't live with out the romance(<--sarcasm) she ends up being Shawn's girl. By the way, each episode is a new case, so you don't have to watch from the beginning.